We get a lot of questions about pet supplies – how best to use them, do they really act as advertised, are the rumours about how a certain product affects an animal’s development true. If you have questions, look above to see some of the most common ones we field and their answers. If you still want to know more, come in and see us. Do harnesses actually teach puppies to pull? JOEY: The short answer is no. It is natural for a dog to resist a restraint when they feel the tug of a harness or collar and they want to remove that strain by breaking free. But it isn’t the dog’s reaction to the restraint that causes it to become a puller for life. It’s actually our treatment of this reaction as an owner. For an in depth explanation of the proper way to correct this behaviour, click this link. Isn’t all dog food healthy? JOEY: Is all human food healthy? Of course not. To make food cheaper a manufacturer has to introduce junk and filler products to the recipe. Whole grains are better than non-whole grains. Protein quality varies depending on the source. Some protein will fill your dog up, good protein will fill your dog up with energy for his or her brain as well as muscles. High quality protein will circulate through your dogs system slowly, providing long lasting energy. Should I crate my dog or not? JOEY: This is a debate without a definitive answer. The best way to choose what's right for your dog is to look at the well-established pros and cons that experts agree on. Con: Improper assembly can lead to an injury to the dog. Money spent on a sturdy and easy to assembly crate is well spent. How do I choose the right bag of food? JOEY: Read the ingredients. Ingredients are listed top to bottom by volume. The first ingredient is more present in the food than the second, the second more present than the third and so on. The highest quality foods list animal proteins as the first, second, or both ingredients. Ideally, it should list where that animal protein came from (ie – pork, beef, chicken, etc…). You should be able to pronounce and recognize at least the first 5 ingredients on the label, if not all of the ingredients. Grains will be present in any dry dog food, they are needed to hold the kibble together. However, corn is not a good grain for dogs. Avoid by-products. Anything listed as a by-product is bad. Avoid chemical preservatives like BHT/BHA. If you are at all confused, don't worry call or come by and talk to us about your price range and dog breed. We will find you the right quality of food that will fit most budgets. As a dog owner, there is no end to the questions flashing your head during a day with the rascal. 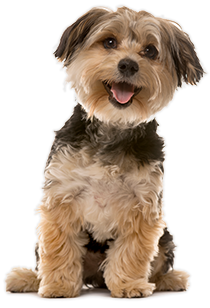 We want to help you feel secure in your knowledge and treatment of your dog. Come by our shop and talk to us. We want to help put you on the right track so you and your dog can enjoy some stress free time together.